Who wants to sell candy bars? Who wants to hold another car wash? Who wants to count all the coins from the latest bake sale? Not the students. Not the adviser. Let’s stop that. Have them use the skills you’ve been teaching. I have a few ideas, not all I’ve actually tried, admittedly, but some have had the cash rolling in. Light Kit: We use the same three-light kit that we use for portrait and lighting units in class. 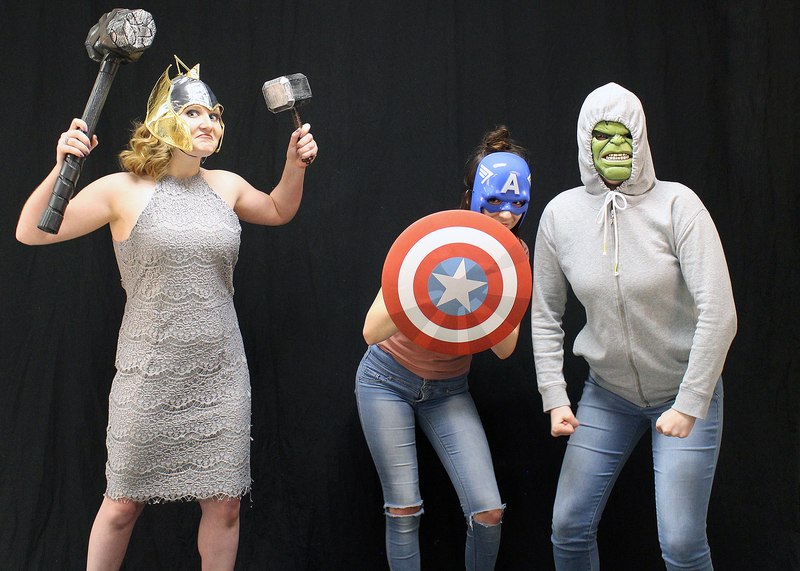 The yearbook staffers test the lighting and cameras before the dance starts. 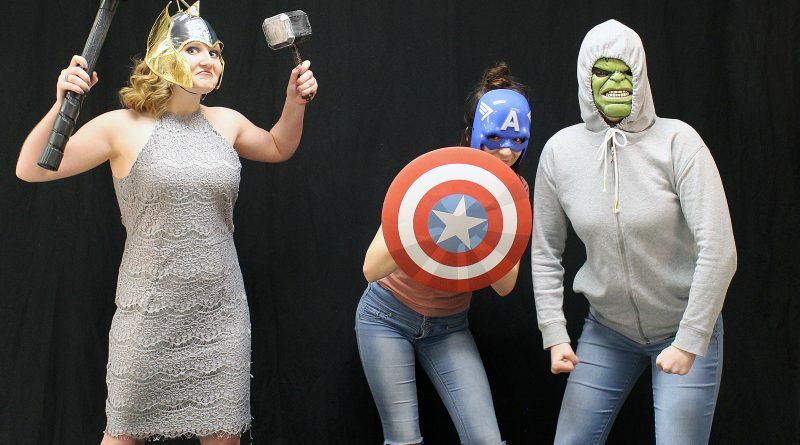 Backdrops: We use the same backdrops (white or black) that we use in class for portraits and lighting units, then we dress them up to match the theme if we can. 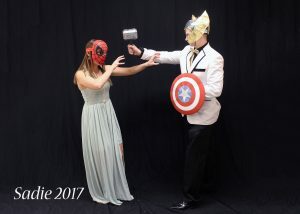 In the past, we’ve used giant plastic records for a sock hop theme, red and black sheets with felt spades, diamonds and clubs for a casino theme, and my son’s Thor hammer and Ironman mask for a superhero-themed night. This fall, it will be silver glitter with the Peter Pan-themed homecoming dance. Power: Extension cords and power strips are a must. Order Forms: You can be fancy, or we’ve found a spiral notebook is fine to record, names, emails, payment info and a description of what the students are wearing. That way if people get out of order in the line, the staff can figure out who is who later, and deliver photos correctly. 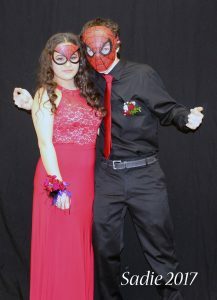 This Spidey couple loved playing with their formal photo at the superhero-themed Sadie Hawkins dance. They also posed for traditional versions. Change box – Once you’ve set up a price, be sure to secure a box to make change with during sales. We charge $2 a person for a number of reasons, it makes it cheap for couples, and large groups aren’t forming just to save a bit of money on a flat per picture price. 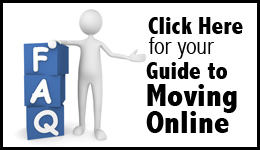 Promotions – Posters ahead of time, send information home, announcements, scripts for the TV show, social media coverage and more – use your publications to get the word out and use your school’s communications tools. Sign-ups: Who on your staff or whose parents can help out that night? It’s great to have your best photographers working the camera(s) and parents taking money and orders. Doodle.com lets us break the work into half-hour shifts, so a variety of people can work and still get their groove on the dance floor. We like to have: someone taking orders, a photographer and a stylist who ensures the girls’ hair looks good, the corsages face the camera, dresses are perfect, cell phones are put on a chair out of frame, and boys’ ties are hanging straight, etc. Table and chairs for ordering. Tripod and camera(s) with back up batteries and memory cards. If you have a camera that has wifi, you could even have a person start Photoshopping that night on a laptop and deliver photos even faster. During the dance: take orders, maintain the wait line, take beautiful photos and enjoy the evening. After the event, since the lighting and background are consistent, it should be quick work to build a Photoshop action to help speed up processing the photos. We’ve built them to correct file dimensions, color, etc. One of our favorite tools is Content Aware Fill for expanding the backdrop behind large groups when the 10-foot wide backdrop isn’t quite wide enough. One example of a couple posing with the props. Our staffers also shoot more traditional shots of each couple or group. When all the photos are processed, we send each order via email. It eliminates all overhead cost for us – pure profit. Plus it saves on headaches of ordering prints and chasing down students to deliver their photos. In the email, we include their photos, a layer they can add that says “Homecoming 2017” or whatever dance it is, and a copyright release form that says they can use the photo however they wish in social media or have it printed at Walmart, Target, etc. This fundraiser is a favorite with the staff members and parents. It usually brings between $200-$500 per dance depending on the number of students attending the dance, and costs us nothing, other than time, to run. Photo Booth – We didn’t do this as a fund raiser, but it totally would have made $$$. We did this for free at the homecoming pep rally one year. There was a constant line! Set up fun props with a simple backdrop at a pep rally or lunch. Charge a minimal charge and collect homerooms or email addresses. If you print, print three to four images in a column and cut to look like the strips from a photo booth at the mall. You can fit four to five per sheet of photo paper. Coloring book – This is the project currently in the works, student editors have combed through the last few years of photos from the publications, and created a folder full of images to potentially turn into line art for a school coloring book. We plan to print at a local print shop, and sell for a few dollars each. Staffers are so excited. Aurasma or QR codes – Tie video messages to photos in the print publications – imagine parents leaving video messages in a senior tribute/baby ad, or videos tied to newspaper content as promposals, Student Council speeches/promotions, etc. In the three or four years our yearbook as offered this service to parents, one set of parents took advantage of it. Staffers hope as other parents see their example, they’ll join in as well. Aurasma is free, but requires people to download an app before they can see the videos. You can set up a channel and you are ready to go. QR codes are offered by some of the yearbook companies; contact your rep to see how those work. One warning, there needs to be a strong editor ensuring the messages are appropriate and live up to your publication’s policies for what’s publishable. Advertising and Commercial production — Yearbooks and newspapers/newsmagazines have long accepted advertising, but I hear more and more about using livestreams to broadcast sports and other events online. Many are supported by local advertisers. Students can run logos as stills, or other graphics, or take it another step and produce commercials to run on the broadcasts. Depending on the program and what is in the advertising package, prices vary from a few hundred to a couple thousand dollars for year-long sponsorships. This is by no means an exhaustive list of ways your students can use their journalism skills to help fundraise for the program, or to help fund travel to regional, state and national conventions and workshops. If you have any to suggest, please comment below, I’m always looking for a fresh idea. Christina Geabhart, MJE, advises a daily news broadcast, the monthly newsmagazine and online for Oak Park High School, plus a district sports broadcast program for NKC Schools in North Kansas City, MO. She has been the 2009 Missouri Interscholastic Press Association Journalism Teacher of the Year, a 2009 Dow Jones Distinguished Adviser of the Year and is one of the 2017 JEA Distinguished Broadcast Advisers of the Year. She has also served on KC metro, state and national committees and boards for journalism. Love these ideas, Christina! Thanks for sharing. Please update with some images of the coloring book when they’re done with it. Our school doesn’t produce a program to sell at football games, and I think that’s something we might be able to produce and sell for a few bucks as a fundraiser.